Upon my move back to Poland I packed up my car full of stuff and shipped it home to Wrocław. Inside were my clothes, my desktop computer, and upon other things, my Canon MP560 all-in-one printer. I’ve come to like that printer a lot; it printed great quality photos, it scanned very well, and it did everything I wanted while sitting on my wireless network, tucked away wire free in the corner of the room. Awesome. I checked on prices in Poland and it was listed for about twice the price I paid for it in the States, so I got me a a little AC 110v to 220v voltage converted and it’s all been working fine. Fast forward to ten months later and I need some ink. MP560 takes 5 ink cartridges because of its photo abilities, so I hop on Allegro.pl, the Polish eBay equivalent, and to my surprise can’t find any of the CLI-221 ink that I need. But searching for ink for the MP560 I get a bunch of CLI-521 instead. It was obvious that Canon’s European numbering was different so I ordered a set of 5 refills and that was that. 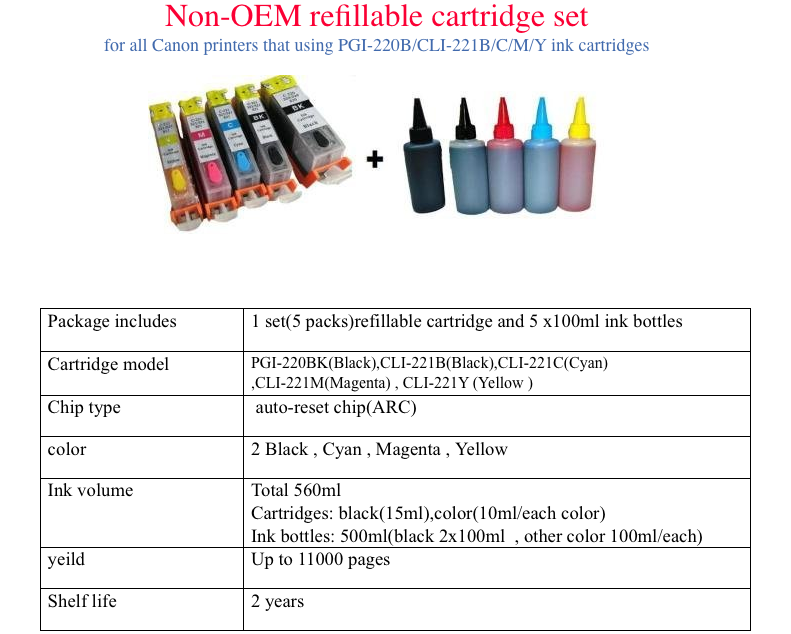 Until I changed all of the cartridges and got an error from the printer telling me it can’t recognize the ink. I thought it was simple, the cartridges are identical, it all fits exactly the same, so what gives? Well, there’s a freakin’ chip on each cartridge that monitors the ink level, and apparently also makes sure you don’t cross swap the cartridges. Did some quick thinking, lets swap the chips. Not an easy task considering these were not meant to be ever taken off the cartridge, but after breaking one, I got the second one off fine and replaced it with the new one. Put it back in the printer, all is fine. But not really, because even though the ink cartridge is now full, the old chip still thinks it’s empty, and so does my printer. A little Google search reveals Canon Chip Resetters all over eBay. 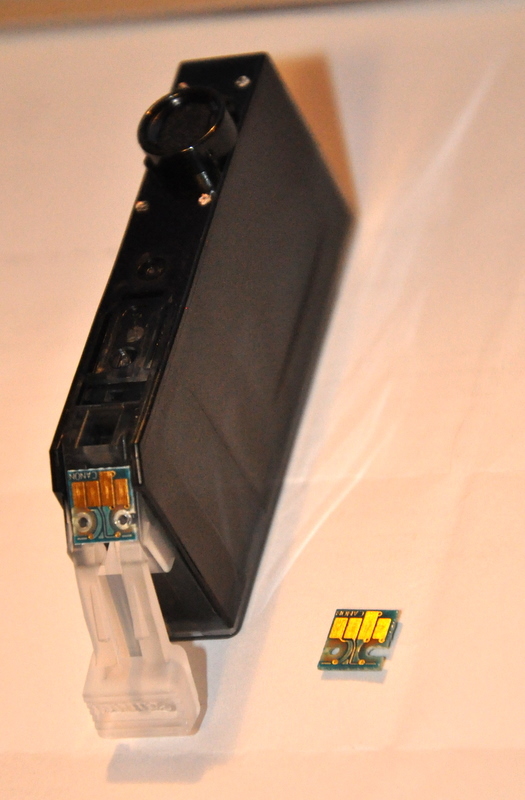 The only way to deal with an ’empty’ chip is to reset it with a $40 dollar piece of plastic with a battery that will reprogram it again into thinking it’s full. Crap! To make things even more convoluted, there are two types of resetters, ones for the U.S. market, and ones for everyone else. In either case, there’s nothing I can do at the moment to make my printer work. Swapping chips still requires resetting, and I broke one during a swap. So instead of getting a resetter I ordered a set of custom made refillable ink cartridges especially made for the U.S. MP560 with ARC’s, auto-resetting chips. I would have never guessed getting ink for a printer would be this complicated. I was hoping there would be some firmware I could swap to make my U.S. MP560 think it’s European, but no luck. All I can do now is wait and try to sell the cartridges I have bought already. So maybe I don’t hate you Canon all that much, I do love my MP560 and some of your camera’s too, I just hate the fact my printer has more electronics inside than my 20 year old BMW. How frustrating! What crap! Maybe you can refill the cartridges at a local store? There are specialized stores in Germany which do that, but not all cartridges are refillable like that. I’m having the same problem here in Denmark. I moved here from the US last September and the printer arrived with dry ink cartridges. I bought a full set from a local store with the 520’s numbers thinking they are the same and it would work just fine. After changing 2 inks I noticed the problem and I stopped before opening the other 3 in case I need to return it to the store. I’m not sure what to do now. 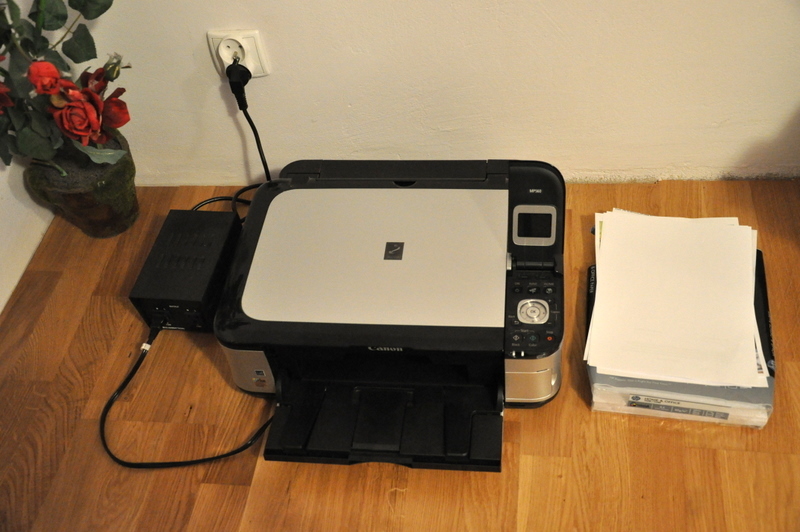 Right now the printer is a waste because I can’t find a solution for the problem. Have you had any luck getting to work with the European cartridges? I read on dpreview forum that Canon regionalized the inks just like DVD’s used to.